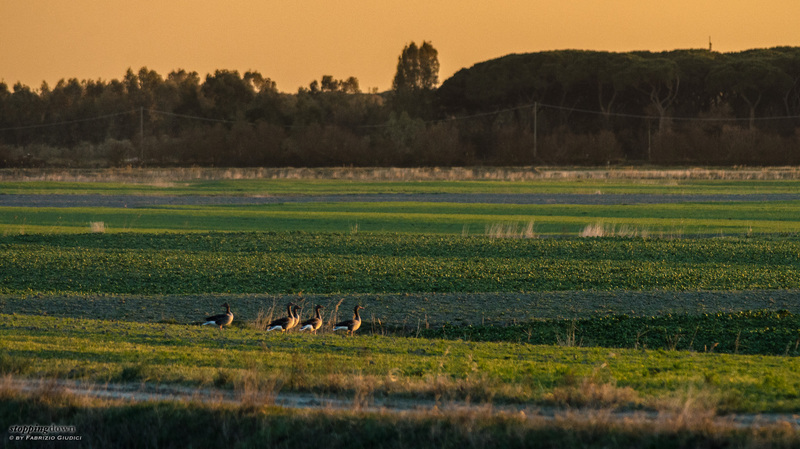 I am at the Parco Regionale della Maremma, which is one of the areas where graylag geese pass the winter in Italy. Thousands of them are pasturing in the grasses, but I note that they are pretty restless despite the fact it is early afternoon. 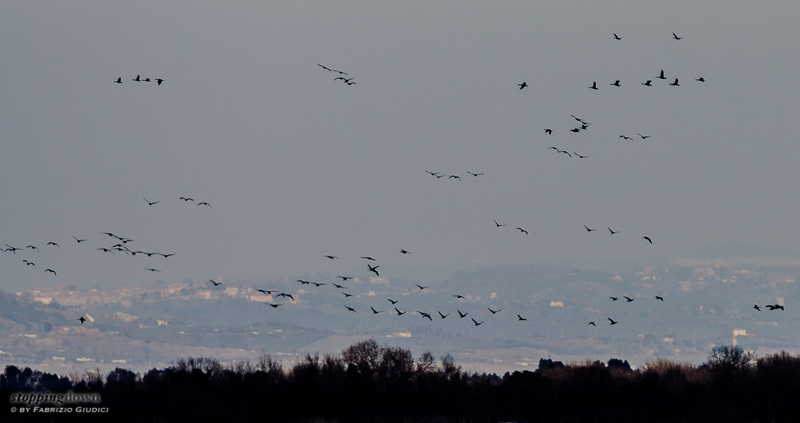 Many small flocks are taking off and landing, flying over the area. La partenza delle oche selvatiche alle Macchiozze. Nikon D7000 + Nikkor 300mm ƒ/4D ED-IF AF-S @ 420 mm, 1/1000 sec @ ƒ/8, -1.00 EV, ISO 180, monopod. 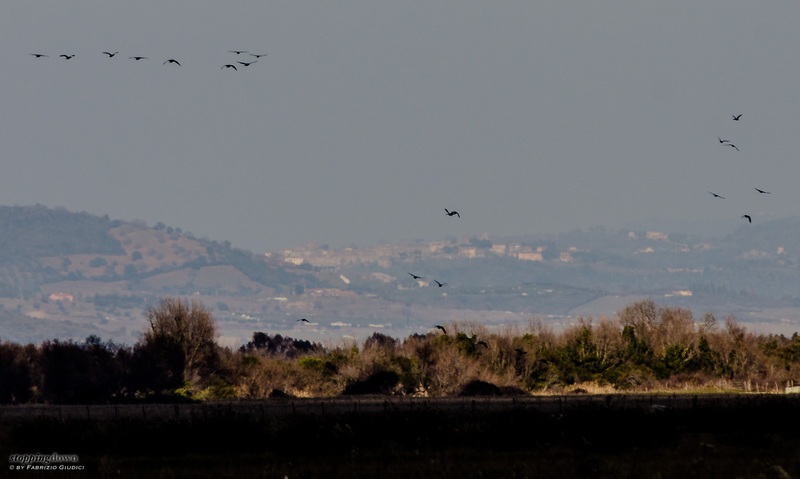 Oche selvatiche in volo a Marina di Alberese. 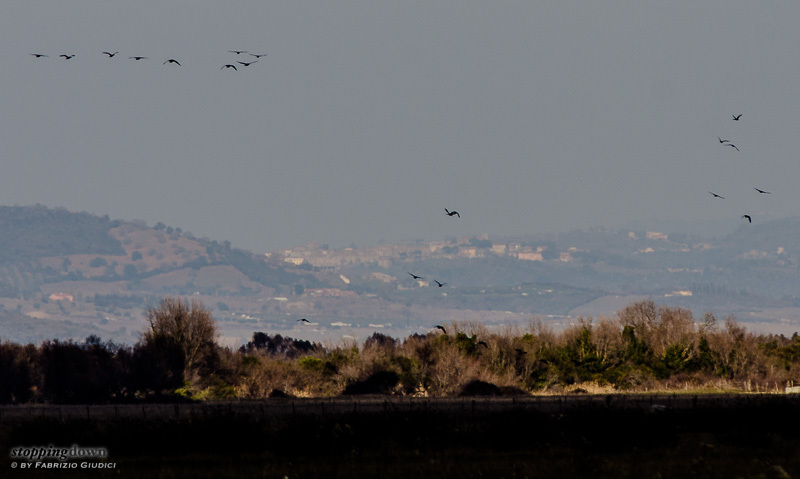 Nikon D7000 + Nikkor 300mm ƒ/4D ED-IF AF-S @ 420 mm, 1/640 sec @ ƒ/8, -1.67 EV, ISO 100, monopod. Noi voliamo sulle nuvole (Anser anser). At sunset, before returning home, I'm driving through the Padule Aperto, a few kilometres north, another well-known area of wintering geese. A few hundreds of birds are preparing for the night. Oche selvatiche al pascolo nel Padule Aperto. Nikon D7000 + Nikkor 300mm ƒ/4D ED-IF AF-S @ 420 mm, 1/500 sec @ ƒ/8, -1.00 EV, ISO 220, Kirk Enterprises Window Mount from the car. Nikon D7000 + Nikkor 300mm ƒ/4D ED-IF AF-S @ 420 mm, 1/500 sec @ ƒ/8, -1.00 EV, ISO 320, Kirk Enterprises Window Mount from the car. Nikon D7000 + Nikkor 300mm ƒ/4D ED-IF AF-S @ 420 mm, 1/500 sec @ ƒ/8, -1.00 EV, ISO 400, Kirk Enterprises Window Mount from the car. Nikon D7000 + Nikkor 300mm ƒ/4D ED-IF AF-S @ 420 mm, 1/500 sec @ ƒ/8, -1.00 EV, ISO 100, Kirk Enterprises Window Mount from the car. Al pascolo nel Padule Aperto (Anser anser). Nikon D7000 + Nikkor 300mm ƒ/4D ED-IF AF-S @ 420 mm, 1/800 sec @ ƒ/8, -1.33 EV, ISO 2200, Kirk Enterprises Window Mount from the car. Oche selvatiche nel Padule Aperto (Anser anser). Nikon D7000 + Nikkor 300mm ƒ/4D ED-IF AF-S @ 420 mm, 1/320 sec @ ƒ/8, -1.33 EV, ISO 900, Kirk Enterprises Window Mount from the car. 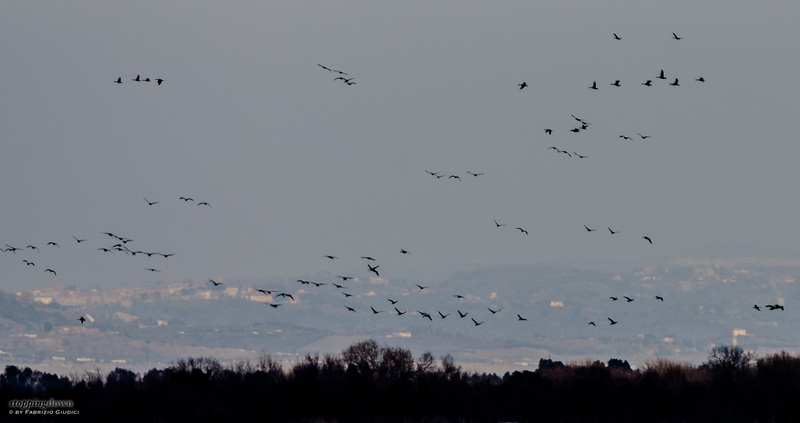 After a few days I learned from the local birders that, the day after, none of the thousands of geese were present any longer. 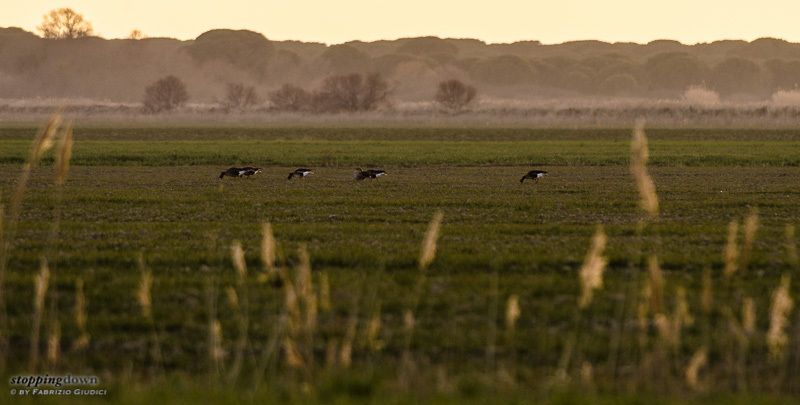 I saw them for the last time in the season, just when they were preparing for the long migration to their northern homes. It has been an exciting experience!